Although duties in a warehouse vary depending on the type of industry and products that the company manufactures, there are a few basic tasks considered typical in most warehouses. 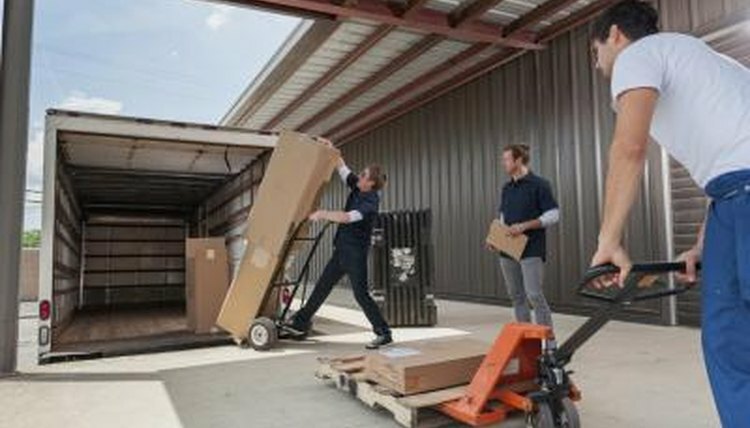 Keep in mind that warehouse work can be physically demanding at times and may require lifting heavy objects as well as a lot of time on your feet. It is the kind of work that attracts those who are willing to roll up their sleeves, get a little dirty and use their muscles. If you are up to the physical challenges, working in a warehouse can be rewarding. Warehouse workers play an important role in the distribution of goods and services throughout the world. The essential function of the warehouse crew is to properly sort and store inventory, typically for the purposes of shipping products to the company’s customers. Some inventory may be too heavy to lift or may be stored on shelves too high too reach without the aid of a forklift or other equipment. Forklift operators pull orders off pallet racks and deliver them to their appropriate warehouse destination for shipping. Most companies provide extensive training on operating a forklift to ensure proper safety and proficiency. Inventory leaves the warehouse docks on trucks or barges. It is the warehouse worker’s job to get the goods properly loaded. Depending on the merchandise, this task may be done entirely by hand or it may require the aid of heavy equipment. 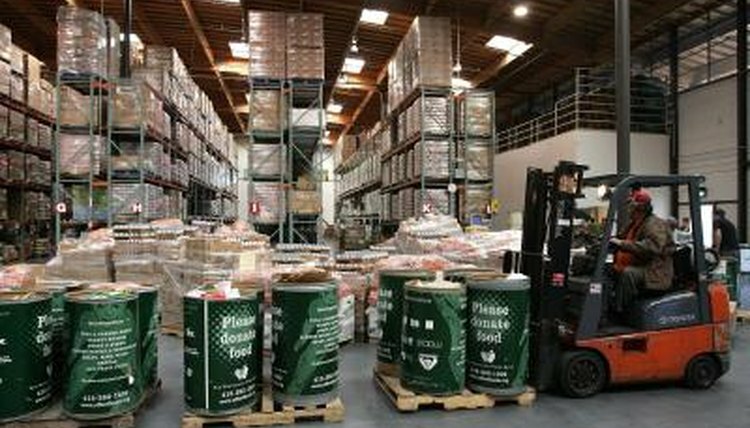 Most companies also receive shipments of goods to the warehouse, including equipment and supplies. So unloading trucks may be part of the job description too. Although there may be other employees on the production line specifically responsible for quality assurance, the last set of eyes that see the product before it takes off for the customer usually belongs to the warehouse worker. Not only is the warehouse worker in a prime position to save the company significant sums of money by inspecting the packages for damage or mislabeling, but he also serves an important role in maintaining the standards and reputation of the company. Undeniably, warehouses get dirty. Most companies expect the crew to clean up after themselves throughout the course of the day and at shift’s end. Chances are you will be handling brooms and mops almost as often as operating the fork lift. Futch, Jesse. "Warehouse Daily Duties." 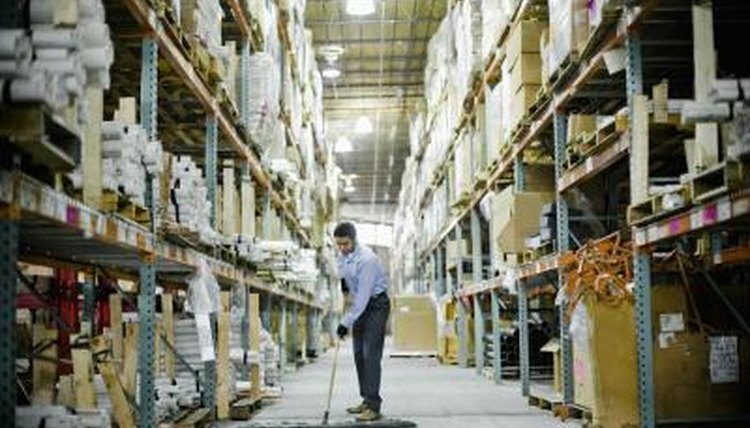 , https://careertrend.com/list-6519353-warehouse-daily-duties.html. 05 July 2017.